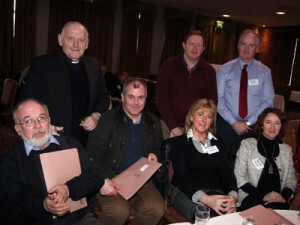 On Monday and Tuesday 8th and 9th of February Archbishop Michael invited the principals of almost 200 primary schools under his patronage, almost 30 secondary schools in the Archdiocese, the clergy and religious of the diocese to attend a Conference on Religious Education and Catholic Ethos in Schools within the diocese. 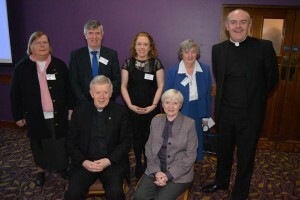 “Daring to be Different” had Guest speaker Sr. Mary Jo Martin from Westminster Archdiocese and Canon Brendan Kilcoyne, PP, Athenry facilitated the day. 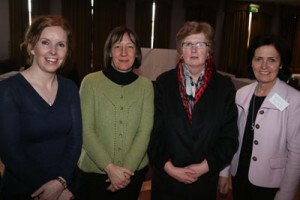 Many thanks to the organizing committee Mr. John McDonagh, Sr. Margaret Buckley, Ms. Siobhán Bradley and Sr. Mary Kenny. Pictures by kind courtesy of Fr. Stephen Farragher. 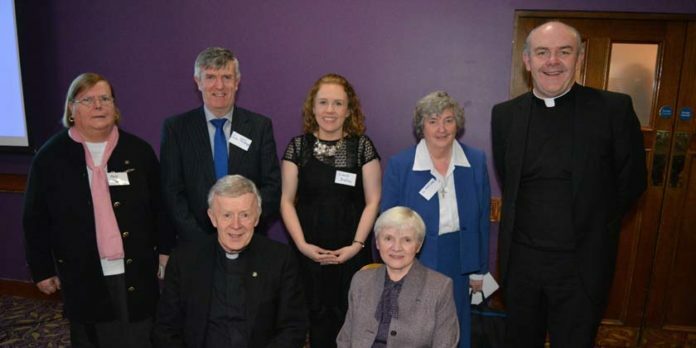 Back Row: Sr. Mary Kenny, Secondary Education, Mr. John McDonagh, Primary Edcuation, Ms. Siobhán Bradley, Youth Director, Sr. Margaret Buckley, Secondary Education, Canon Brrendan Kilcoyne, Facilitator. 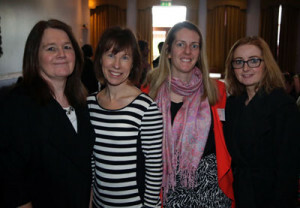 L-R: Patricia McTigue (Balla Secondary School), Carmel Hoade (Garbally N.S. ), Maura Finnerty (D.A. 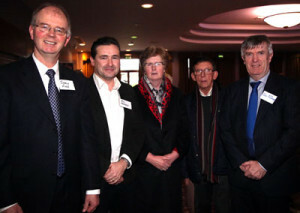 Skeghana), Bernie Rowland (Davitt College, Castlebar). L-R: Sean O Ceallaigh (Moylough), Anne O Reilly (Murrisk N.S. 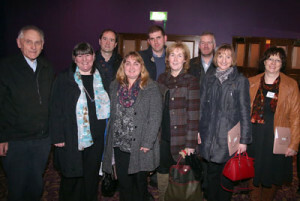 ), Emer Askin (Louisburgh N.S. 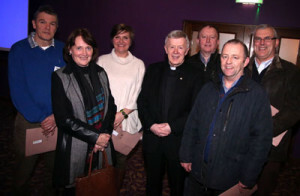 ), Archbishop Michael Neary, Gerry Hussey (Gortnaleam), Tommy Grealish (Lavally N.S. ), Eamonn Kitt (Ballindereen). 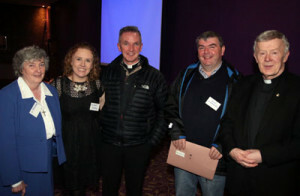 L-R: Sr Margaret Buckley (Diocesan Advisor), Siobhn Bradley (Diocesan Youth Director), Fr John Kenny PP (Partry), Toms îÊhanachin (Tuar Mhic ide), Archbishop Michael Neary. L-R: Jimmy Finn (St Colman’s Claremorris), Roy Hession (St Colman’s, Claremorris), Maura Finnerty (Diocesan Advisor), Mgr John O Boyle, John McDonagh.